The combination of medium secure and low secure units and rehabilitation flats at Thornford Park provides a seamless internal care pathway supporting and empowering patients in their recovery and rehabilitation. We provide personalised assessment and treatment programmes for males with mental illness/ complex care needs as well as those with personality disorder. Patients may have histories of offending and/or may have failed in previous placements. 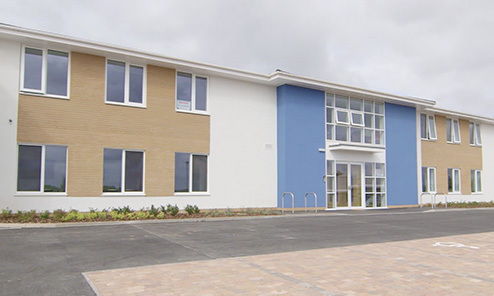 Thornford Park has excellent internal and external therapeutic and recreational facilities. The service has recently opened the ‘Crookham Unit’, a new, 10-bed purpose-built Psychiatric Intensive Care Unit (PICU). The unit has been designed and built with a focus on integrating current best practice in both environmental performance and clinical care, in order to deliver a bespoke therapeutic environment. 58 low secure beds in four wards. 38 medium secure beds in three wards. 10 enhanced low secure beds for patients who require assessment and treatment in a highly structured and safe environment. 17 low secure beds for patients who are elderly/physically frail. 10 bedded Psychiatric Intensive Care Unit. Rehabilitation flats with rooms for eight patients to live with greater independence prior to discharge.